Coming from a family that all celebrate our birthdays in December, I can appreciate just how much stuff appears in the house within a month. Yes, you read that right, my Mam, my siblings, my Granny even aunts and cousins all born in December. Somehow I managed to buck the trend of having my babies in December and opted to go one better and have all three in November. Which is slightly better, however, there is still a large amount of presents etc. making its way into my home within a short space in time. 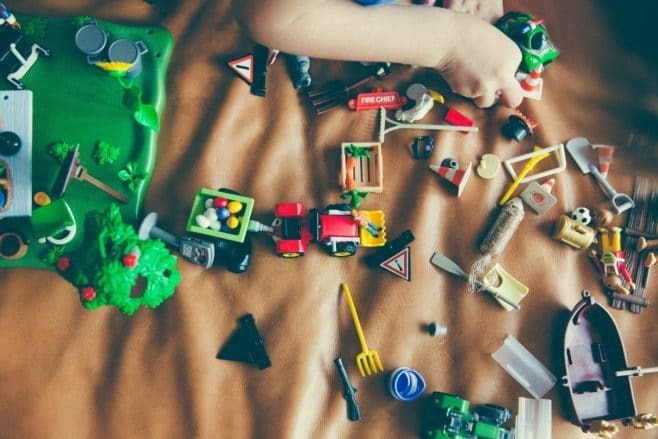 One of the things that I have always tried to instill in my children is to be grateful for all the toys and things that they have. Reminding them that there are lots of children within the city that we live in, across the country and further afield that don’t have very much at all. With this in mind at least once a year we have a clear out and as December approaches it is time for the great Christmas toy clear out. As we prepare for Christmas, we will take the opportunity to go through their toy boxes together to see which toys they have outgrown, never really played with and no longer require. These toys are then looked at to see which can be recycled and given to a charity for local families to enjoy. Taking the children with me to drop off the toys so that they can see that they are going to be used by other boys and girls who might not be as fortunate as they are. With the remaining broken toys, ones with pieces missing and soft toys that cannot be recycled etc. all bagged up and ready to be collected by junk.london along with other items we have found whilst have a clear out. Our garage currently looks like a dumping ground with old mattresses, cardboard boxes, plastic tubs and now a collection of broken toys too. Having it all collected makes clearing out much easier. Do you have a great Christmas toy clear out to make way for the new items arriving? I have so far this year managed to clear the youngest child’s bedroom but only got as far as moving it to the living room. Donating it is next on my agenda. We recently had a clear out then came J with his bag full of charity toys from the children in need sale lol! We have birthdays in September and December and usually have a huge toy clear out in December too. We really need it else we’d be drowning in toys!